What do we know about young African farmers today? What support do they need to drive change and growth in African agriculture? AFA interviewed 23 young farmers across 10 villages in two Kenyan counties to more fully understand their financial and agricultural portfolios, needs, and outlooks. What they found were key variations in capacities and aspirations across sub-segments of young farmers – suggesting a need to customize supports and services to fit different youth persona profiles. Financing and supporting early-stage businesses in Uganda is not an easy task. Social businesses in the early growth stages require patience and support to hone their model and serve more people. In this report with USAID, YUNUS Social Business looks critically at their venture philanthropy fund in order to share their learnings from their portfolio and investment and support strategy. The report describes their investment processes, strategies, and their new criteria moving forward. Learn more. This study, commissioned by USAID's Economic Growth Office and implemented by CrossBoundary's Mali Investment Facilitation Platform, investigates constraints to Mali's agricultural markets. It identifies the obstacles that stand in the way of organizations and projects aiming to modernize the country's agricultural sector, and provides possible remedies. The report also presents evidence that sustained support for private sector actors can initiate a paradigm shift. Read the full report. In this policy paper, Public Policy Fellow Jamie Van Leeuwen and Michael Feinberg analyze the case study of Staffable, a social impact company in Kampala, Uganda and their approach to measuring the efficacy of social impact. They provide policy recommendations on how philanthropists, investors, and non-governmental organizations can standardize performance metrics to measure social impact investing, as well as recommend investments in workforce development in order to reduce dependency. In Sub-Saharan Africa as elsewhere, Micro, Small and Medium Enterprises (MSMEs) play a crucial role in economic development and job creation. However, because of a general lack of knowledge about this particular segment, the sector hardly achieves its full potential. In order to better meet MSMEs’ needs, a first step consists in identifying the profiles, growth paths, success factors and challenges faced by those who managed to turn their microenterprises into small or medium entities, referred to as Small and Growing Business (SGB) owners. As microenterprises are likely to resort to microfinance institutions to get access to financial services, ADA has coordinated a series of three studies relying on five MFIs in Ethiopia, Kenya and Madagascar in order to identify a sample of SGB owners and interview them individually to get details about their paths. This study is the synthesis of these three surveys and specifically aims at providing detailed information about entrepreneurs’ profiles, about the main challenges and obstacles they faced through their growing process and about their current financial and non-financial needs. Based on such information, general recommendations are made to financial services providers and all kinds of organizations supporting MSMEs. Soon after their founding in 1540, the Jesuits established an expansive network of educational institutions around the world, embodying what we now call social entrepreneurship. In his encyclical Laudato Si’, Pope Francis calls “the whole human family together to seek a sustainable and integral development.” Social entrepreneurship is a transformative response to this call. The Jesuit-in-Residence experience is customized to the vocation of the individual Jesuit. The program’s pioneer, Fr. Phil Cooke, SJ, organized GSBI Boost accelerator programs in Nicaragua and the Philippines. Under the leadership of Fr. 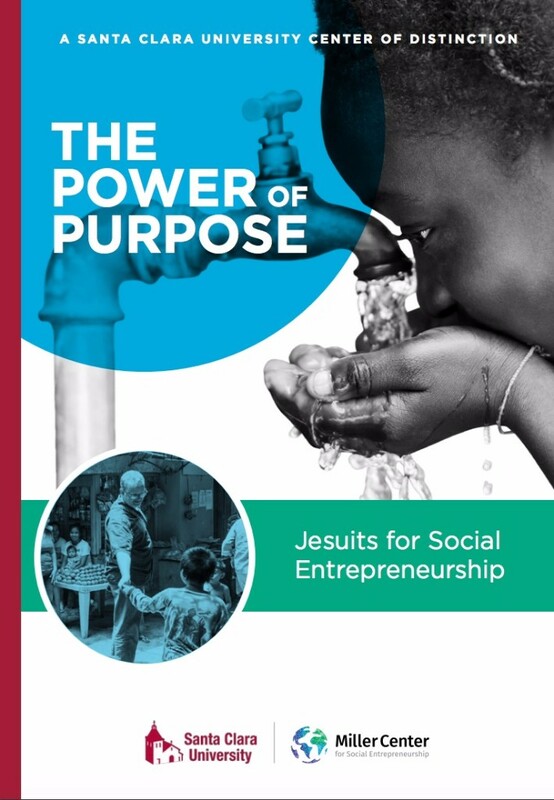 Bossou Constant, SJ, we created a Jesuit Network for Social Entrepreneurship, including four provinces in Africa, one in the United States, and one in China, with 18 affiliated Jesuits. Miller Center imagines that this network will leverage Jesuit social and educational ministries to amplify the global impact of social entrepreneurship. The vocations of the Jesuits in this booklet illustrate the power of purpose in their approach.